Te Papa’s curator of terrestrial vertebrates Dr Colin Miskelly is researching the life and work of the Canterbury naturalist Edgar Stead (1881-1949). This includes re-taking Stead’s photos from the same photo-point, taking other images to illustrate his diaries, and describing how the ecology and wildlife of each of 10 islands has changed since Stead’s visits. 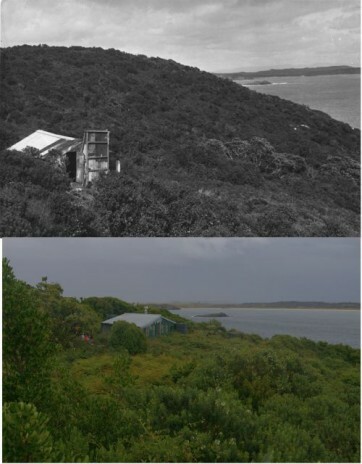 Of all the islands that Edgar Stead visited, and for which his diaries exist, Green Island in eastern Foveaux Strait is the least well known. Green Island lies to the east of Ruapuke Island, and should not be confused with the much smaller homonymous Green Island near Dunedin. All the Ruapuke Island group are privately owned, mainly by descendants of the Kai Tahu chief Tuhawaiki. Some of the owners have huts on Green Island and harvest muttonbirds / titi (chicks of the sooty shearwater) each year. We were privileged to be granted access to the island, and were accompanied by two of the island’s owners during our 10 hours ashore. It is not clear what motivated Stead to visit Green Island, other than the hope of finding rare birds on a ‘new’ island. He and his companions (Robert Wilson and Percy Elworthy) discovered that the island was free of introduced predators apart from weka, and this remains the case today. Birdlife was and is abundant, but there have been some notable changes over the ensuing 71 years. Stead and Wilson estimated there to be 1.5 million pairs of fairy prions / titiwainui and broad-billed prions / parara breeding on the island in 1941, but we saw little evidence of them in 2012. They are both still present, but clearly in much reduced numbers. 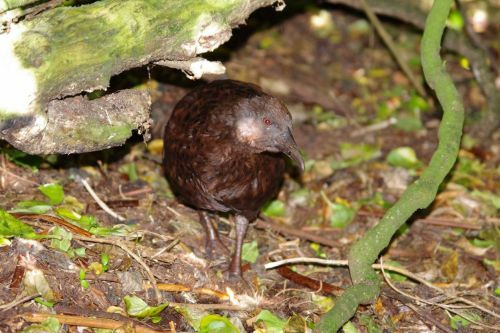 It is not clear why the population has crashed, as the weka population does not appear large enough to have caused such a massive decline. Perhaps the decline has been driven by at-sea conditions, rather than by conditions on the island. Another species that has declined or disappeared on the island since 1941 is the southern skua, which should be the top predator on the island. About 10 pairs were present and breeding in 1941, but we saw none and found none of their distinctive middens of seabird remains. The landbirds on the island were much as Stead found them, with the brown creeper the most abundant species, and bellbird, tomtit and robin all being common. We also found tui to be numerous, probably attracted by the spectacular flowering of southern rata. We recorded over 20 New Zealand pigeons / kereru – a species not recorded by Stead. They are strong flyers and could easily cross the 2 km from Ruapuke Island. 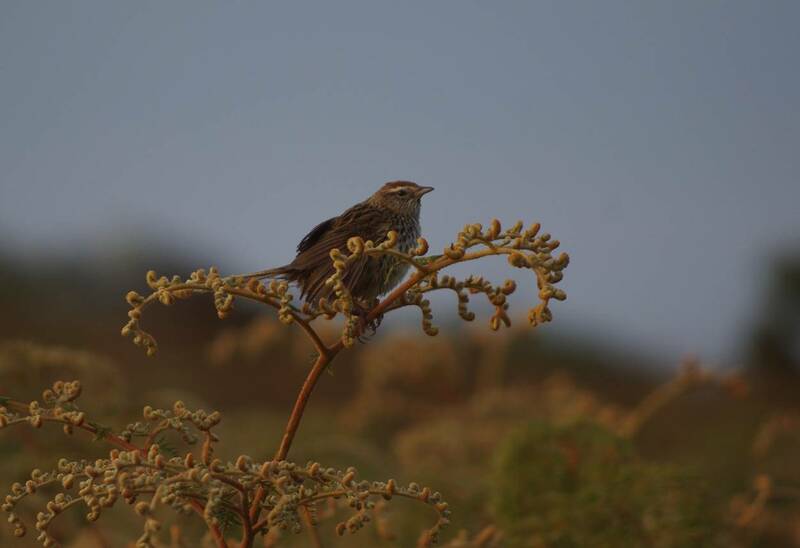 More surprising was that we found fernbirds to be common, when Stead specifically noted their absence. 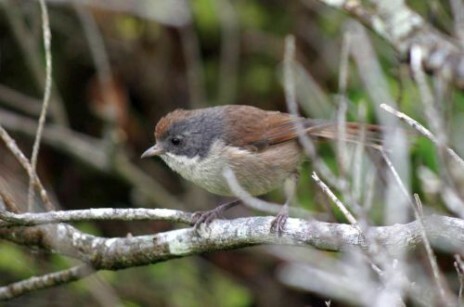 In 1941, fernbirds were found only on Bird island 3 km west of Ruapuke Island. Usually considered poor flyers and unlikely to cross water gaps, these furtive birds have apparently colonised both Ruapuke and Green Islands since Stead’s visit. 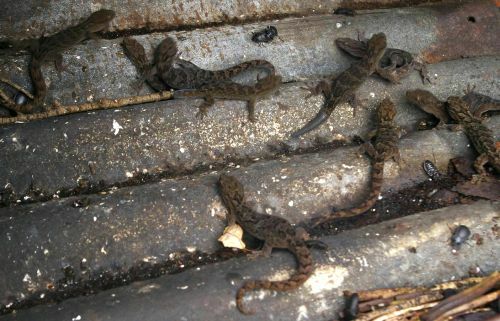 One feature of the island that has not changed since Stead’s time was the abundance of geckos around the dwellings. We also saw several common skinks, but failed to find the green geckos reported from the island. 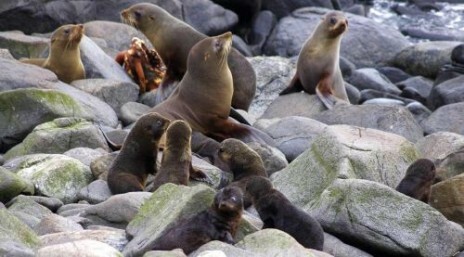 The only seal species that Stead and his companions noted in 1941 was a single male sea lion. We did not see any sea lions, but there are now several hundred fur seals breeding on the island.